Benoît Jacquot's production of Massenet's Werther was new in 2004, since when it has returned only once (in 2011) to Covent Garden. 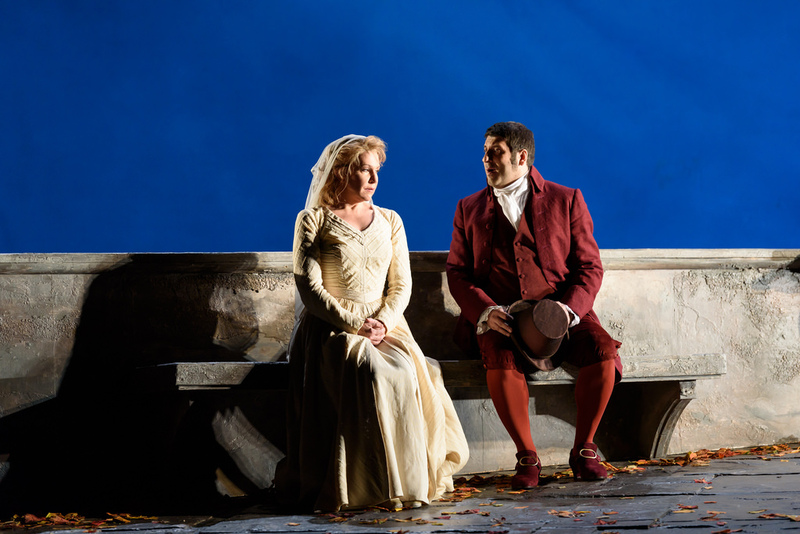 For the latest incarnation, revived by Andrew Sinclair, Antonio Pappano was in the pit and we had two role debutants, Joyce DiDonato as Charlotte and Vittorio Grigòlo as Werther. David Bizic sang Albert, Jonathan Summers sang Le Bailli with Heather Engebretson as Sophie. Charles Edwards sets create a sense of cool realism with the monumental set for Act One completely removing any sense of intimacy from the setting, and the sense of abundant nature was vestigial. As such the production relies very much on the two principals to generate the right electricity. It helped that Antonio Pappano in the pit drew a richly passionate and highly detailed performance from the orchestra, in this most symphonic of Massenet's scores. The orchestra plays a role as important as the two principals, and here we had just the right sort of intense drama. Though a lyric part, the title role is one of the heavier in the French repertoire; the first Werther at the premiere in Vienna, Ernest van Dyck sang a lot of Wagner, and the first French Werther, Guillaume Ibos, was also a notable Lohengrin. I heard Alfredo Kraus in the role at Covent Garden in the 1970s and this was probably one of the heaviest roles that this most elegant of tenors sang. Here Vittorio Grigòlo followed a similar course, impressing with the intensity of his passion rather than sheer volume. He sang in creditable French and the dialogue had a lovely naturalism to it, though of course when he opened up the voice it was of course pure Italian. There was subtlety too, with a willingness to fine the voice down for some of the high passages creating a lovely sense of intimacy. 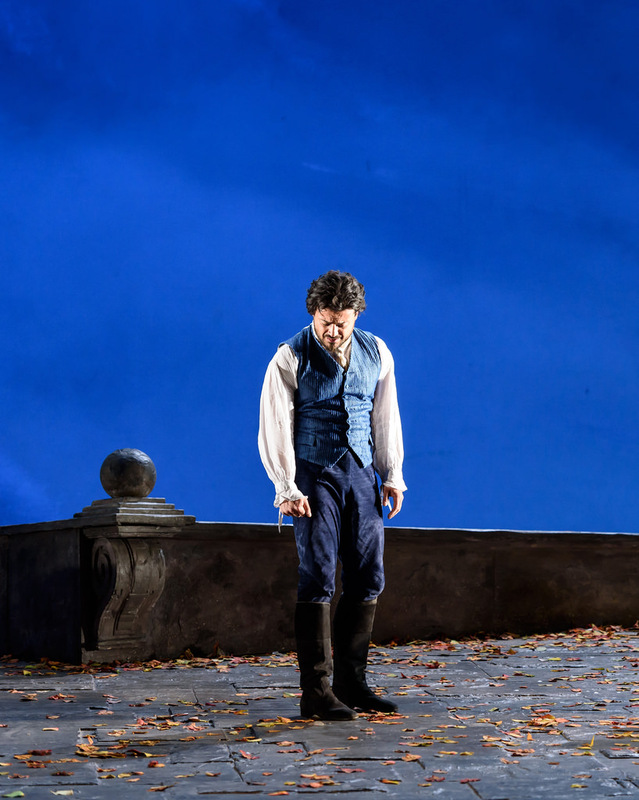 It was a very physical performance, with Grigòlo using a certain stiffness on stage to create a sense of Werther's held in passion. And when released, we had real intensity. The voice did not ride the orchestra easily, but this did not matter as the concentrated focus of the performance really came over. The Ossian verses in Act Three were a real highlight, but the whole evening was one sustained exercise in passion. Grigòlo's Werther really did convince, and in moments like Act Two when he sees Charlotte as Albert's wife, madness did seem to threaten. We are used to Charlotte being sung by singers with rich, refulgent voices (think of Janet Baker or Agnes Baltsa) but it does not have to be the case. Joyce DiDonato sang with a sense of style and focus which recalled the older French, Opera Comique-style of performance. She made a fine pairing with Grigòlo, as both combined a sense of style with a feeling of the role pushing them to the edge. This was a finely detailed performance, in Acts One and Two she positively quivered with suppressed passion. The letter scene was profoundly moving, as well as being beautifully sung. Rather than relying on gut passion, this was a superbly crafted performance with a fine sense of style. It made you wonder which other roles in the French repertoire DiDonato could take on, certainly I would love to hear her in the Opera Comique version of Ambroise Thomas' Mignon. David Bizic's Albert was well sung, giving a believable sense of Albert's love for Charlotte in the first half, becoming harsh and intense in he second. This was a very traditional view of the character and performances by Simon Wallfisch at Grimeborn and at English Touring Opera have shown that a more sympathetic reading is possible. Heather Engebretson was a delightful Sophie, giving a lovely account of her Act Two solo and really wrenching the heart when she realises Werther is going. Jonathan Summers gave a vivid account of Le Bailli. 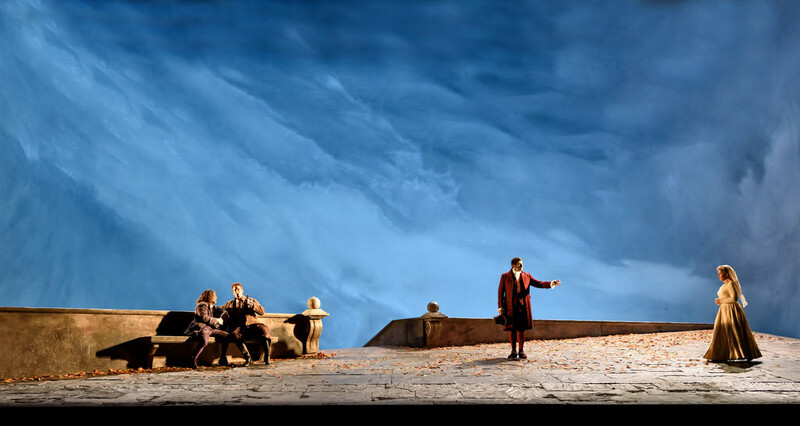 The other roles were equally fine, with Yuriy Yurchuk and Francois Piolino making a great double act as Johann and Schmidt, Rick Zwart as Brühlmann and Emily Edmonds as Kätchen. The children in Act One were a complete delight, singing strongly. 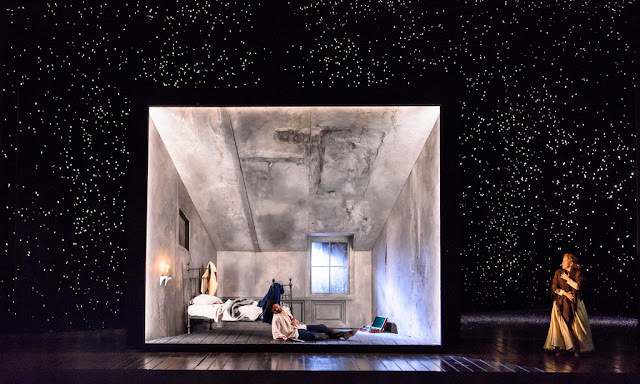 Putting an interval between Acts One and Two might be in the correct Opera Comique tradition, or perhaps the monumental sets need the time to change, but it really breaks things up. By the end of Act One the drama has only just got going and the opera benefits from flowing directly into Act Two. As it is we had 25 minutes of interval, 35 minutes of Act Two then 25 minutes of interval; it was almost like the ballet. I doubt that Covent Garden will replace Benoît Jacquot's production soon, which is a shame. It is a decent enough back-drop for strong principals but performances of this opera can be very much more. As it was, Joyce DiDonato, Vittorio Grigòlo and Antonio Pappano ensured that we had a stylish and passionate evening.